We're excited to have received such a tremendous response to the Between Spaces People's Choice voting. Unfortunately, announcing the results has been delayed while we validate the voting. We will be announcing the winners soon! Our apologies for the delay, we will be updating our systems to expedite this process for future competitions. Voting is now closed. The People's Choice Award Winner will be announced soon! Stay tuned! 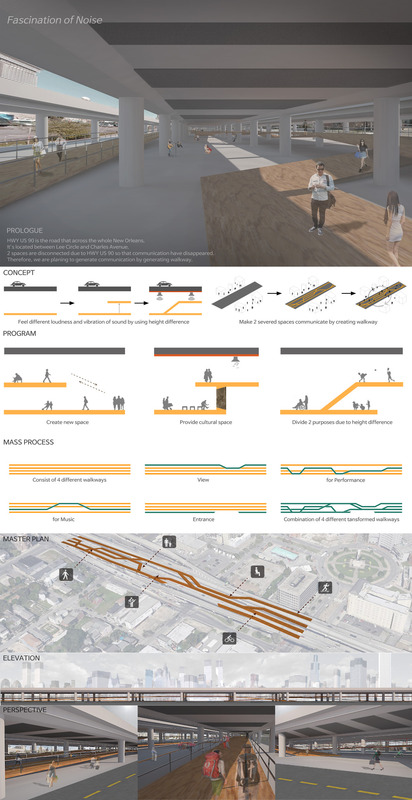 'Between Spaces’ is a competition about public space and urban design inspired to engage the public and design community to propose creative solutions for underutilized public spaces in New Orleans. 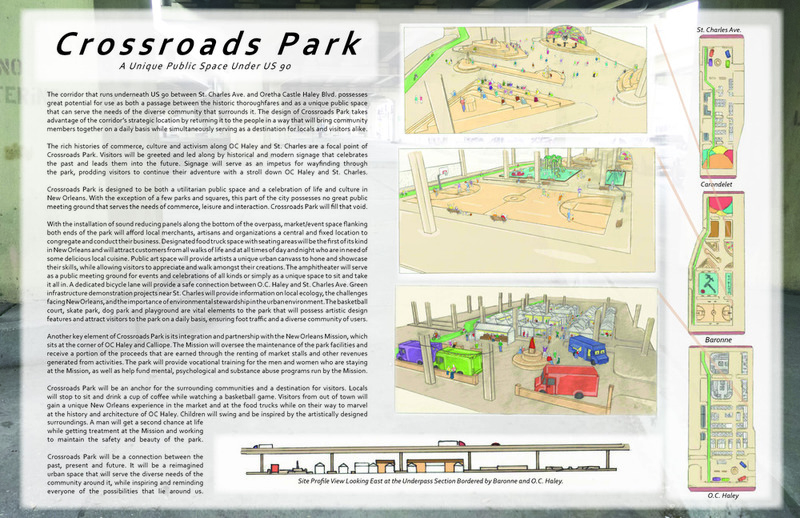 The Ideas Competition encourages teams to develop a design proposal or implementation plan that addresses abandoned or left over spaces within our neighborhoods and promotes a transformative physical change of positive cultural impact and legacy. The urban interventions should be considered vibrant public amenities, gathering places for the community, “safe spaces” where interaction is encouraged. The space should value and support civic engagement. Entries are judged on their innovation, progressive thinking and community impact. The Competition is open to everyone especially to students and the design community. Open to the participant(s) imagination. Underneath Highway 90 between St. Charles and O.C. Haley.